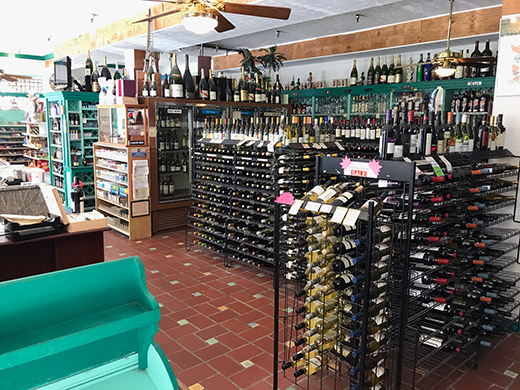 Scotti’s Wines & Liquors specializes in the sale of fine wine and spirits, bringing you hard-to-find brands and varietals from top-shelf producers. Our discrete delivery services ensure products are supplied straight to you, hassle-free, wherever and whenever you need them. You can even turn to us for party planning expertise and expert recommendations for wine and liquor. When you don’t have the time or desire to get in the car and drive to a liquor store in Palm Beach, FL, Scotti’s Wines & Liquors is here for you. Specializing in direct-to-customer delivery, we bring you an immense selection of wine, champagne, liquor and other spirits, wherever and whenever. We deal in high-end brands and luxury products, bringing our customers rare and hard-to-find bottles that aren’t available anywhere else. We even receive exclusive varietals, available to our more discerning customers and connoisseurs for the right price. Our delivery services are discrete and professional. We always arrive promptly, in unmarked vehicles, ensuring you get the privacy you demand. We specialize in hard-to-find wine and spirits, bringing you options that not many high-end liquor retailers can! Our connections are second to none. We have a tremendous selection of products, ranging from simple off-the-shelf liquor brands to high-end wine and champagne varietals. Our services also include party planning and partnering with caterers to help ensure you’re getting the ideal wine and liquor pairings for your next event. We’re consistently rating among the best high-end liquor stores in Florida, with a superior track record of excellence among our many customers. When the time comes for you to raise a glass, trust Scotti’s Wines & Liquors to deliver only the best in top-shelf options. With discrete delivery of our entire inventory, we’re your premier partner for liquor sales. "Fantastic service with a very knowledgable staff. The best place for wine and liquors in Palm Beach." April 26, 2018 Frank F.
"Best service, and great selection of hard to find high end wines and liquors; Very personable and knowledgeable owners!"